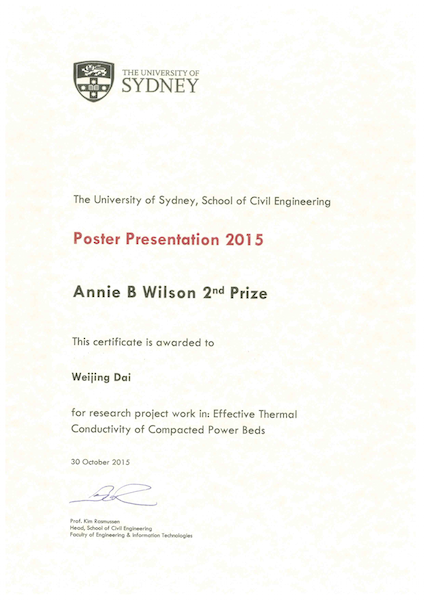 Congratulations to Weijing, who won Annie B Wilson 2nd Prize in Civil Engineering Poster Presentation 2015 last Friday. 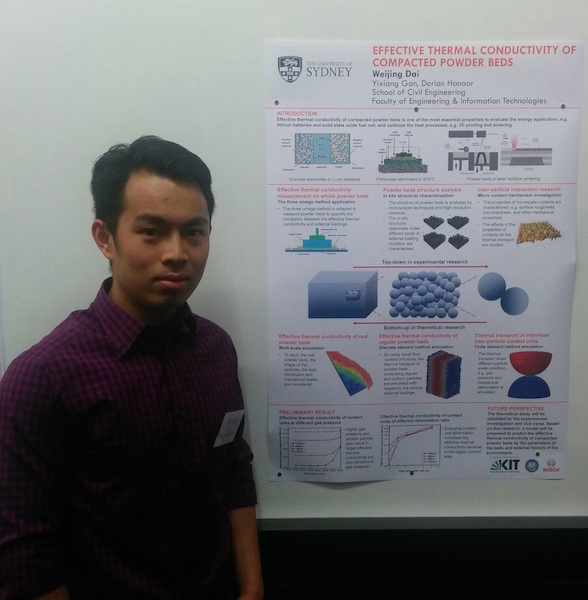 The presentation has been selected by academic members from around 50 posters by postgraduate (PhD and MPhil) and undergraduate students. This entry was posted in Conferences and tagged group members, PhD, research. Bookmark the permalink. Post a comment or leave a trackback: Trackback URL.